This is a beautiful commercial/industrial lot, It is also a corner lot of Stratus and Pete Dominici Rd. This is one of the entrances to the main industrial area. It is ready to be developed. For the first time in many years, separate large tracts of land are being sold to developers and users. 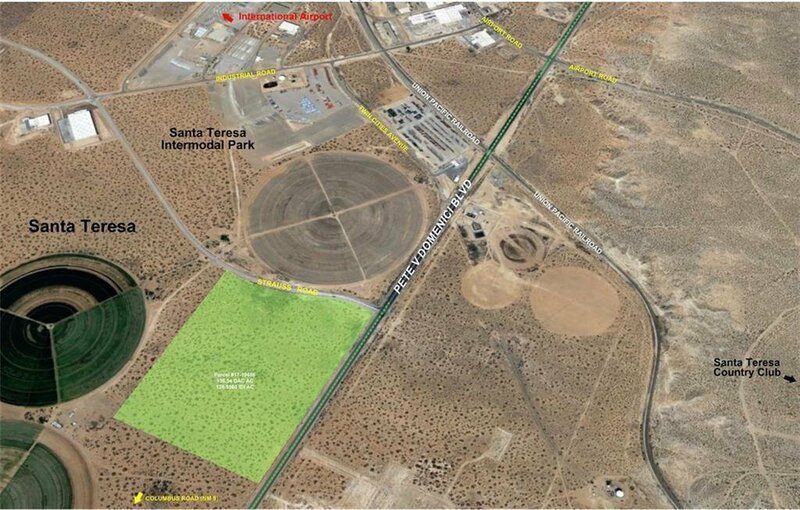 Because of the proximity to Mexico, the Santa Teresa Airport, El Paso Tx, and to the brand new New Mexico Railroad Intermodal, this property has incredible potential. The owners is open to financing and to accept property in trade (that makes sense to the owner, of course). We have other properties in the area in different sizes.